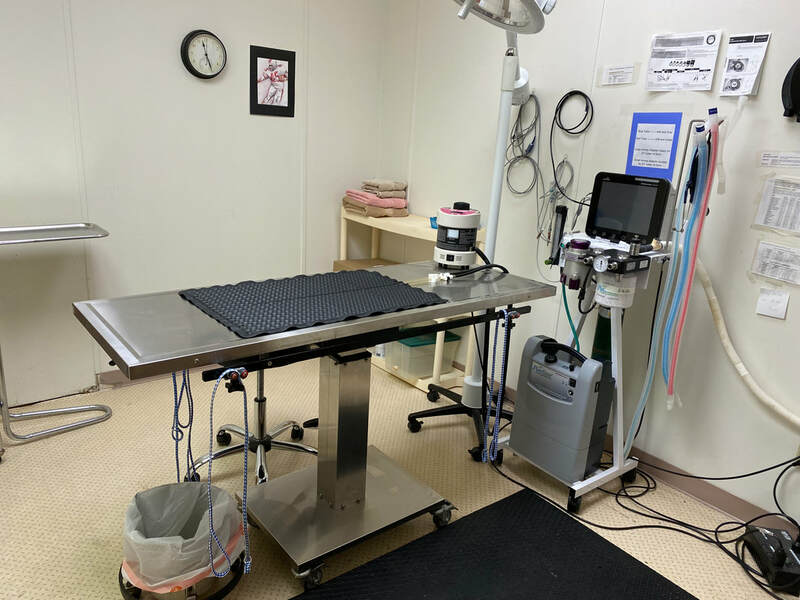 In our continuing efforts to offer the highest quality veterinary medicine, we are please to provide a wide range of surgical services for our patients. From routine surgical procedures, such as spaying and neutering, to more complex surgeries. We look forward to the opportunity to care for your pet's surgical needs. Our staff is highly skilled in performing veterinary surgeries and will make every effort to ensure that your pet receives the very best care. Our focus on patient safety, pain management, and employing the most current surgical practices is designed to exceed your expectations and put your concerns to rest. Our staff of compassionate, caring professionals will monitor your pet before, during and after surgery and will take exceptional care to ensure a safe and complete recovery for your pet. ​Surgery can be a source of anxiety and stress for many owners. When your pet is ready to go home, we will review your postoperative care and medication instructions. If any questions arise after your pet returns home, call us and we will do everything to ensure your pets full recovery.